I am a Washington lawyer practicing in the Seattle area committed to obtaining fair and just relief for my clients. I represent individuals in disputes involving employment, breach of contract, consumer protection and civil rights. In employment cases I represent professional and salaried employees as well as hourly workers. Just enter a key word such as “employment” in the search engine on this page to be directed to the appropriate information. I am experienced working with opposing parties to obtain a negotiated resolution to disputes, which is my first goal. Negotiations frequently involve mediation or arbitration. Where a negotiated settlement cannot be achieved a lawsuit may be filed and litigated through to trial. Within these pages you will find general information regarding issues common to the problems I often deal with in our practice. Please understand that this is not intended to be legal advice. The only way I can appropriately evaluate your case is by reviewing the unique facts and circumstances of your situation. If you would like to know more or have questions regarding your specific situation and would like a consultation with me, please contact me for an evaluation. My mission is the vindication of the rights of individuals by making those responsible for causing harm accountable for their behavior. I have a history of representing both professional and non-professional employees as well as consumers. If you are facing a difficult employment situation and believe your rights may have been violated contact me. I have successfully represented clients in numerous cases in state and federal courts. 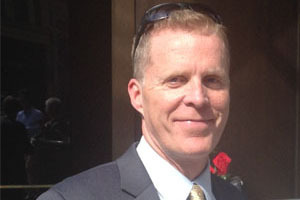 A high point came in 2000 in an employment law case when the Washington State Supreme Court handed down a unanimous decision in favor of a client, Dave Ellis, who was wrongfully discharged by the city of Seattle. This interesting case involved Dave’s concern as an employee for public safety which led to his refusal to disable the fire alarm system at the Key Arena during Sonics basketball games.